It's been a while aye. Hope you've all been dandy. I just wanted to say that I haven't gone anywhere (physically) but I have moved (virtually!) 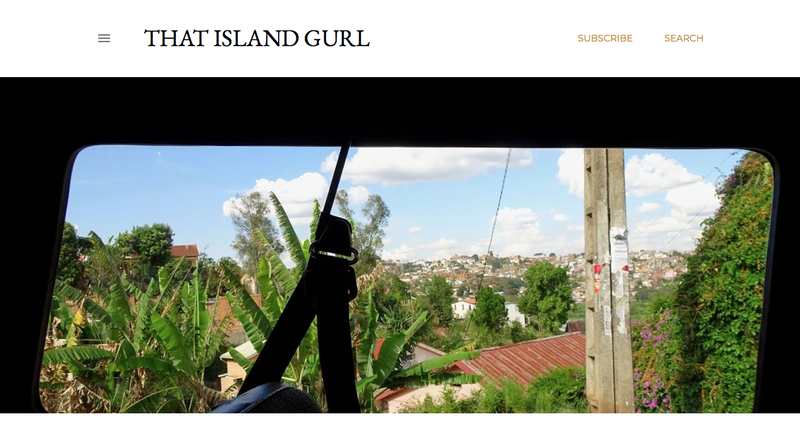 in case you've been wondering why I've just disappeared - now writing on thatislandgurl.com about all things that life throws at me - stories, observations, shared (and new) experiences, and everything in between (still including the travel, food, and fashion posts). I will always have a lot of love for this blog, and always look back on everything I've managed to capture fondly - but I wanted to take my writing into a slightly different direction. I started jinglejungle in my early twenties as a place where I could document trips, events, experiences, and reviews of what I'd seen and been up to. I hope some of my posts will still come in handy for people as I've put a lotta love into each one, particularly my travel ones. However, I am now thirty and a lot has changed - as you would probably expect. I've grown up a bit more, gotten to know myself a little better, and have a lot more on my mind other than just "I went here, I saw this, and this is what I thought". Hence, my new blog. This doesn't mean that I don't value or still love travel or fashion posts, I will still do these over on my new home but they will now be surrounded by more posts about me as a person, what I (and friends) experience (and have experienced), and just more stories about day-to-day life because life isn't just about travel and fashion is it now. LOL. Anyhow, I really appreciate all of you who have been following me from day one - reading my posts, sharing them with pals and beyond, and just giving me the encouragement and support to keep writing. So, THANK YEW. I hope to see you all over on my new (virtual) home. Otherwise, enjoy perusing everything jingle jungle has to offer until the end of time (muahahahaha).